In our efforts to protect public access and coastal recreation at Lawson’s Landing, our guests and coastal visitors must appreciate, respect and act as stewards for the coastal wetlands, dunes, plant communities, and special coastal species sharing the shores of Tomales Bay. As part of that effort, Lawson's Landing has partnered with Conservation Corps North Bay in their Community Recycling program. Conservation Corps North Bay is a Non-Profit job training agency whose mission is to develop youth and conserve natural resources for a strong, sustainable community. Since the 1920s the Lawson family has worked to preserve this land while still keeping this unique boating, fishing, and camping area open for generations to come. In that spirit, we are working closely with the Natural Resources Conservation Service in order to preserve approximately 465 acres in a conservation easement that will still allow for educational and recreational access. Lawson’s Landing is a 940-acre campground and recreation area located on the mouth of Tomales Bay, directly across the bay from Pierce Pt. This area is part of the 72,000 acre Pt. Reyes National Seashore. The Lawson family has lived, worked, and recreated at the Landing for nearly 90 years. Since 1957 the Lawsons have shared this special spot on the edge of Point Reyes National Seashore with campers, boaters, hikers and fisherman from throughout California. These visitors have become part of the Lawson’s “extended family” - with families coming back to the coast each summer. The Lawson family works to keep the Landing open, responsibly protected, and affordable for all to enjoy and appreciate. Over the years we have gained an increased understanding of the importance of conserving Tomales Dunes, coastal meadows and habitat. We need our guests to tread lightly on this special place in order to protect and responsibly enjoy these unique resources. The Tomales Dunes are located on the east side of Northern Tomales Bay; these dunes are unique in that they are some of the last mobile dune systems left along the California coast. We encourage the public to hike and enjoy the dunes but also be aware this is a special place that needs to be preserved. It is best to walk only on bare sand and to avoid vegetated areas. 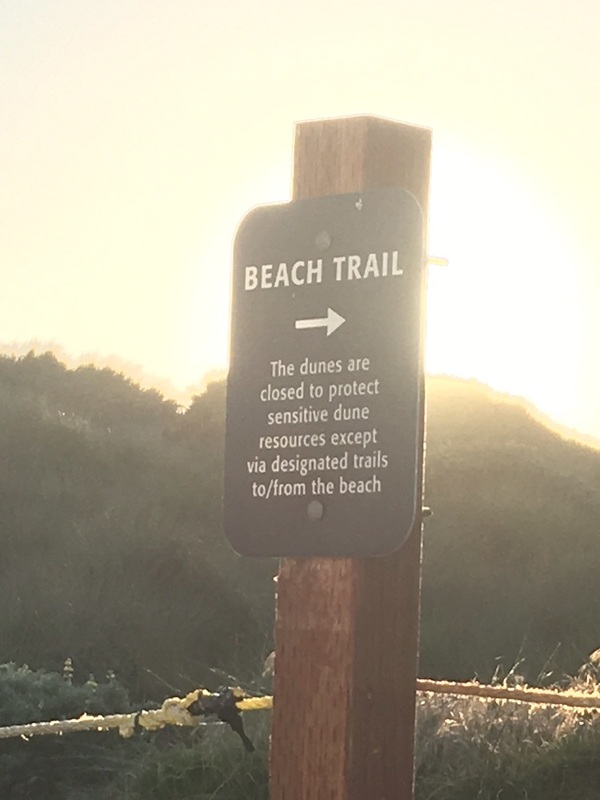 The dunes are in a natural state so there are no trash cans or other amenities. Please leave nothing but footprints. As responsible stewards, your cooperation is deeply appreciated. To the west of the campground area lies over a mile of ocean beach; this area is also in a natural state. When hiking the beach be aware of the many varieties of wildlife that make this area their home. This includes the Western Snowy Plover, a small shore bird that is on the endangered species list. A fence has been erected along a portion of the West side of the camp area to direct beachgoers away from the plover. If you have a dog, please keep it on a leash and under control, and stay on the wetted sand as far away from the Snowy Plover and other birds as possible. If a seal is ever encountered, always stay at least 200 feet away. A lone seal pup should never be handled as this could cause the pup to be rejected by its mother. If you have a concern, let our staff know and we will contact the proper authorities. Some of the grassy meadow area that had been used for camping was identified as coastal wetlands. That area, approximately a fifth of the camping area, has been fenced off and closed to camping. Please do not dig holes or leave litter. Also be aware that it is illegal to dump grey water and sewage anywhere except in the RV dump stations. While operating a motor vehicle pay close attention to avoid soft ground and wet areas during wet periods. Please obey the signs we have placed that show closed areas. When boating out on the bay, stay at least 200 feet from the Harbor seals that use the tidal flats for their resting area. Always obey Fish and Game laws, and do not waste any of your take. All marine life serves an important role in the bays ecosystem. We have a great responsibility to keep Lawson’s Landing open for future generations to enjoy. Please help us in this important task by treading lightly and reporting any rule breakers. Collectively we can carry out the sustainable management of recreational activities, protect the coastal resources we all love, and establish Lawson’s Landing as a leader in maintaining and protecting one of the cleanest beaches in California. Together, let's ensure access and affordable recreational use for boating, fishing, and camping are maintained, protected and encouraged in order to keep Lawson’s Landing open for all to enjoy and appreciate. It is our wish to be able to provide this coastal access experience for many years to come. Thank you for your cooperation and support.